Is tourism entrepreneurs of Nepal trying to support the real culprit in Wide body scandal? "Wide body scandal"- Why the culprits are not punished yet? 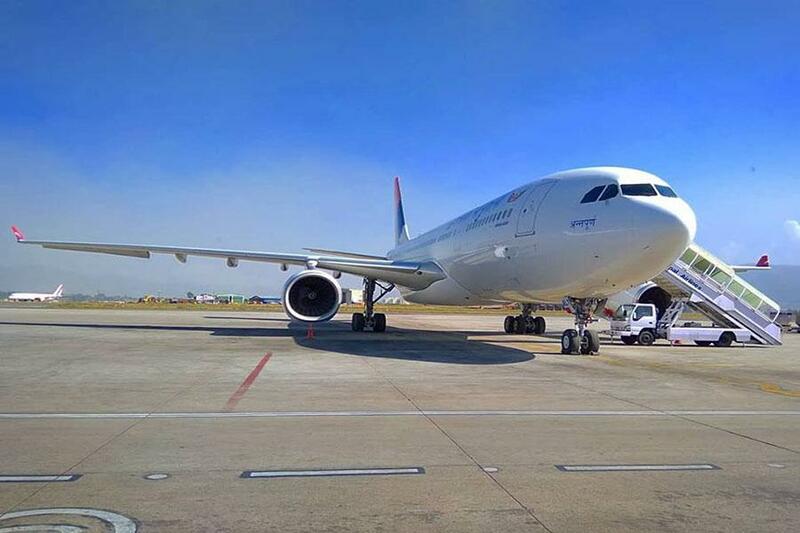 KATHMANDU, Feb 10: The wide body issue is one of the ongoing unsolved mystery of Nepal. The sub-committee led by Nepali Congress lawmaker Rajan KC had submitted a 58-page investigation report to PAC, accusing the high level officials at the Tourism Ministry of misappropriating funds while procuring the two-wide body aircraft. The report charged Civil Aviation Minister Rabindra Adhikari, Civil Aviation Secretary Krishna Prasad Devkota, Secretary at the Prime Minister’s Office Sisir Prasad Dhungana, and Managing Director of Nepal Airlines Corporation (NAC) Sugat Ratna Kansakar, among others, with embezzling at least Rs 4.35 billion during the procurement of two wide-body aircraft. Meanwhile, when the committee has already submitted the report mentioning the culprits, the tourism entrepreneurs and organizations have claimed issuing a press release that the Tourism Minister and the Managing Director of NAC are not guilty rather its the plan of mafias to make tourism of Nepal a 'failure'. They stated that as the government has announced the Visit Nepal 2020 campaign some mafias are trying to portray the tourism of Nepal negatively by spreading such rumors. But is this statement made just to favor the tourism minister and other people for their self interest? While most of the people are requesting to punish the culprits our tourism organizations are trying to save their leaders just because they are working under their instructions. Not only tourism organizations but also the leaders of parties are not trying to dig in this issue. Recently, during the meeting of Prime Minister, KP Sharma Oli in the House of Representatives, Q&A session was conducted. Various issues were raised in the session about the current ongoing issues but the one of the most important issue of wide body scandal was not raised by any parliamentarians in the session. Is it because the member of their party may also be one of the culprits in this scam? Wide body's case is one of the burning issues of Nepal, yet it is not solved and the culprits are not punished.